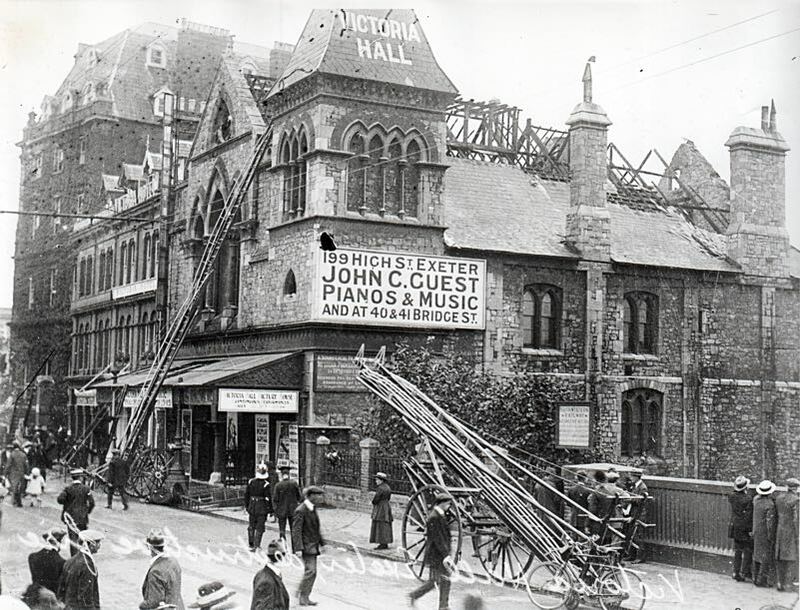 In the 19th-century, Exeter had already acquired the nick-name 'The Fiery City', by the time of the tragedy of the 5th September 1887, when the Theatre Royal burned, with the loss of 186 lives. This single event was the catalyst that forced the City Council to take on the responsibility from the fire-insurance companies for fire fighting in the city. To control the new force, William Pett was appointed as the Superintendent. 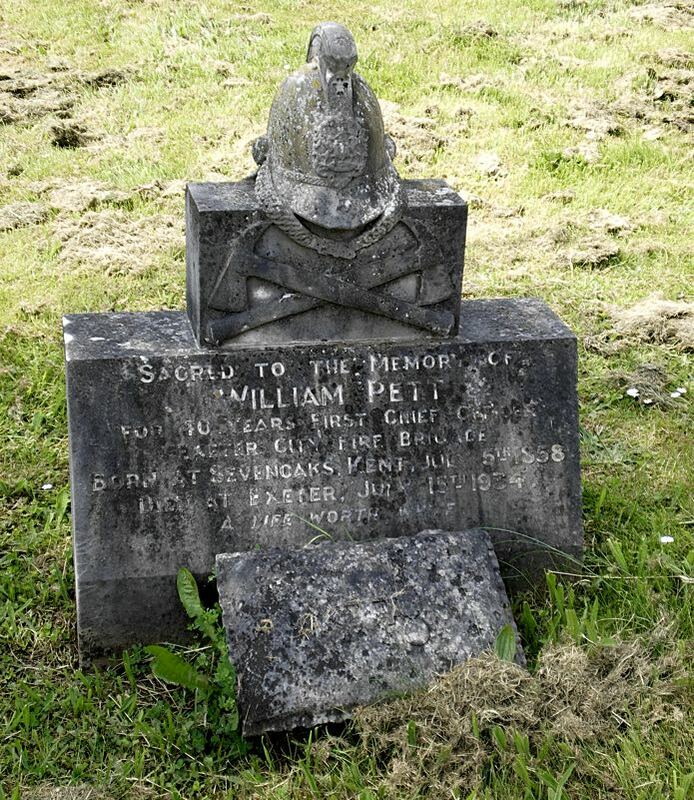 William Pett was born in Kent, on 5th July 1858, into a long established family of whom, Peter Pett (1610-1672) was a respected shipwright at Chatham and Sir Peter Pett was Advocate General of Ireland. William Pett's branch of the family ended up in Sevenoaks, after the shipbuilding industry declined, to establish an engineering works. He joined the Sevenoaks Fire Brigade at the age of 16 in 1875, and became the sub-engineer and later the chief engineer of the Sevenoaks service. By the time that Pett applied for the new Superintendent's post at Exeter, he was a married man with two sons. Pett was one of thirty-eight candidates interviewed for the job, emerging from a short list with the most votes from the councillors. He was appointed in January 1888, at a salary of 40s per week and on the 1st March 1888 the Exeter Fire Brigade was formed. Pett immediately set about organising an efficient fire fighting service, introducing the latest equipment and methods, along with a training program for his newly recruited firemen. The service initially employed an engineer and fourteen firemen, recruited locally. William Pett liked to lead from the front, and would not allow any man to do anything that he was not prepared to do himself. 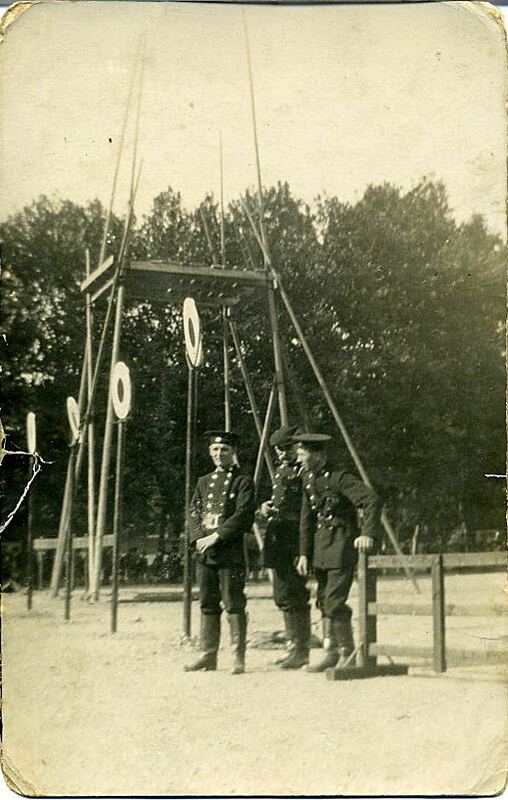 He was very competitive, and in June 1893 he was national champion for single-man fire-engine drill. In the same year at the Grand International Fire Tournament and Exhibition, his brigade won the International Challenge Trophy outright; the solid silver cup is on exhibit in the Guildhall. In 1896, the annual Exeter Fire Brigade Competition was held at Baring Crescent Field, Magdalen Road. The competition was held to "encourage the firemen in their efforts in saving life and the speedy extinction of fire in the city." It is interesting to note that Superintendent Pett was first in the single man, manual engine drill with a time of 50.5 seconds, followed by fireman Winsborrow with a time of 53.25 seconds. Pett was also second in the bicycle hurdle race and first in the special single man drill. Pett was an ambitious man for he applied for the post of Superintendent at Aberdeen in 1896. William Inkster, a former fisherman from the Okneys, was appointed after receiving one vote more than Pett. 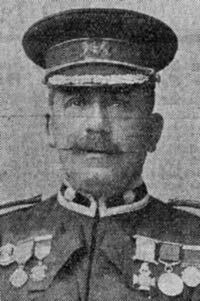 One of Pett's sons, William Montague Pett joined the Exeter Fire Brigade before going to South Africa during the Boer War, as part of the 98th Ambulance Brigade. His name appears on the Boer War Memorial Tablet in the Guildhall. Later, he was appointed Superintendent of the fire brigade in Singapore. Pett's youngest son, Algernon was the first person to take a fire engine to South Africa. His family now live in the United States. An innovative man, Pett was responsible for several patents for fire fighting equipment including an arrangement for directing water at the top of a fire escape, improvements to sprinkler systems and a way of dealing with fire in a ships' cargo. He also devised a system of coded whistles instead of shouting directions to his men. He travelled widely, inspecting other fire stations, both in Britain and Europe, looking for new ways of efficient fire fighting. 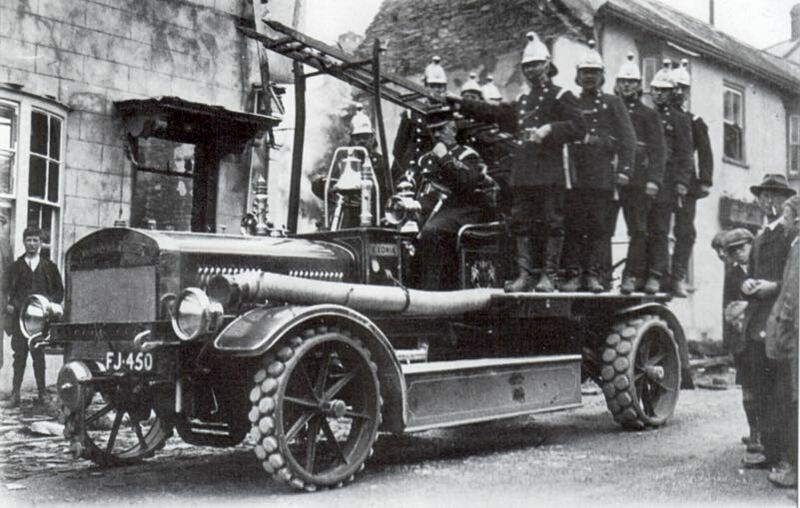 In January 1914, Pett introduced Exeter's first motor fire engine, the Merryweather Ltd, FJ450 Exonia, that also towed the old steam driven Devonia pump. One of the earliest fire appliances in the country was rescued from a barn by William Pett and restored. 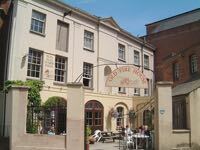 It dated from 1626 when it was stationed at the Guildhall. 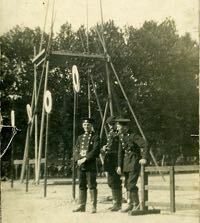 In 1903, Pett loaned the ancient apparatus to the International Fire Exhibition at Earl's Court. Pett lived on the premises at the Fire House, New North Road and was often the first to pick up the phone when a call was made for assistance from the Fire Brigade. 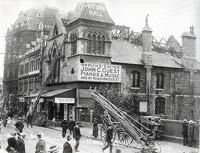 When a fire was discovered at 5.10am at the Victoria Hall in 1919, it was William Pett who took the call. When off duty he liked to go out shooting ducks in the countryside, and he was a keen cricketer for the Exeter Cricket Club, as fitted his competitive nature. During a representative match against a visiting MCC team which included the great W G Grace, Pett made a score of 70 runs, while WG made nil. Pett's wife Emily was active in the Red Cross, and between 1910 and 1919 was the Quarter Master for the organisation, before promotion to Commandant of Devon's 52nd Exeter Division. After an active and popular time as Superintendent of the Exeter Fire Brigade, William Pett retired in May 1927 from the service that he had created. He was presented with a £100, a gold watch and an illuminated address. He was also awarded the firemen's VC by Lord Ampthill. 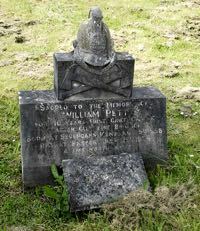 He died on the 15th July 1934 after he was taken ill in his garden, and was buried at Higher Cemetery, where there was placed a headstone that befits his lifelong passion - a carefully carved, stone fire fighters' helmet. Sources: British Newspaper Archive Exeter and Plymouth Gazette and Western Times. William Pett in his uniform. The photo is from his obituary in the Devon and Exeter Gazette, July 1934. 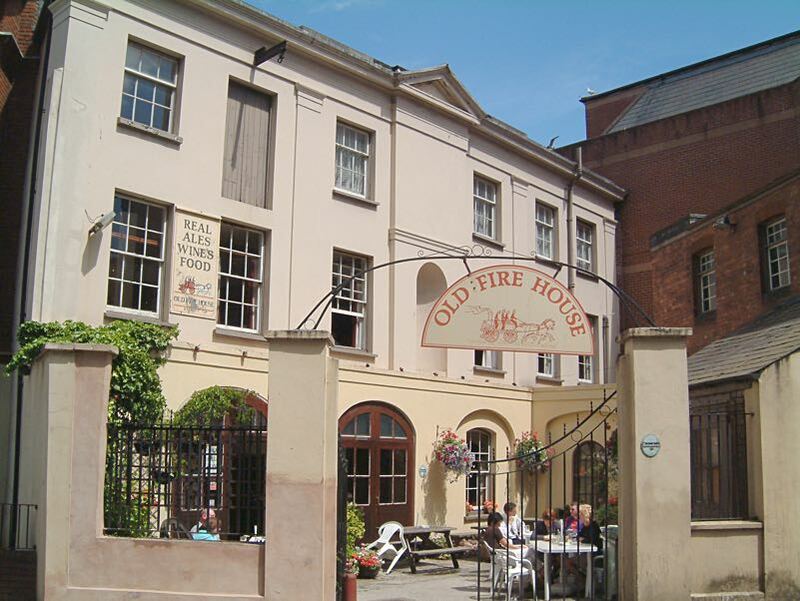 The Old Fire House was used by Exeter's Fire Service until 1931, when it moved to Danes Castle. 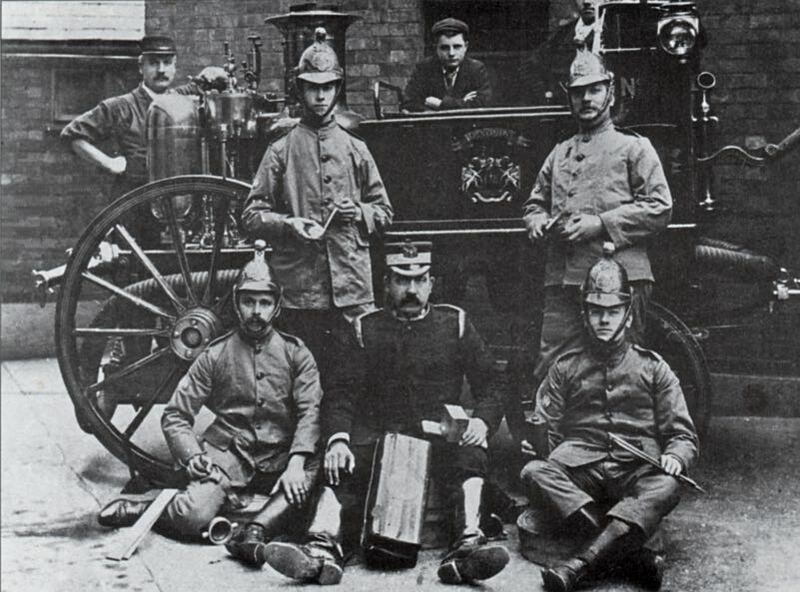 The Exeter Fire Brigade in the 1890s, before powered appliances. 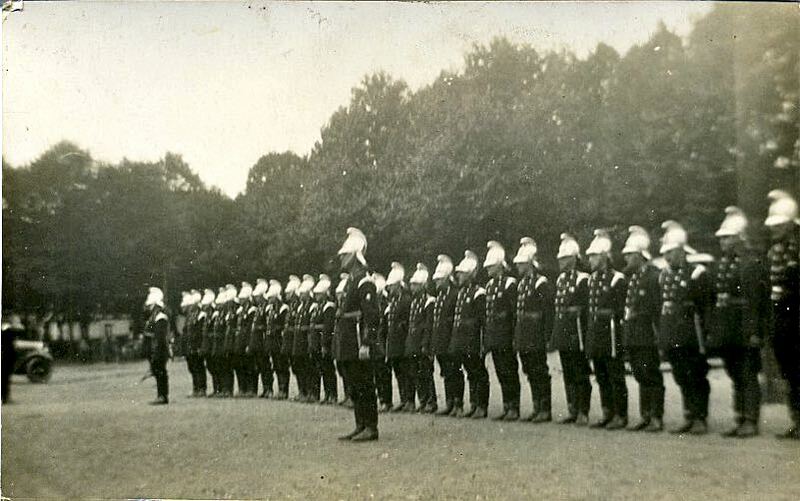 The Brigade on parade, probably in Belmont Park. Firemen during a public display of their skills, agin, probably Belmont Park. 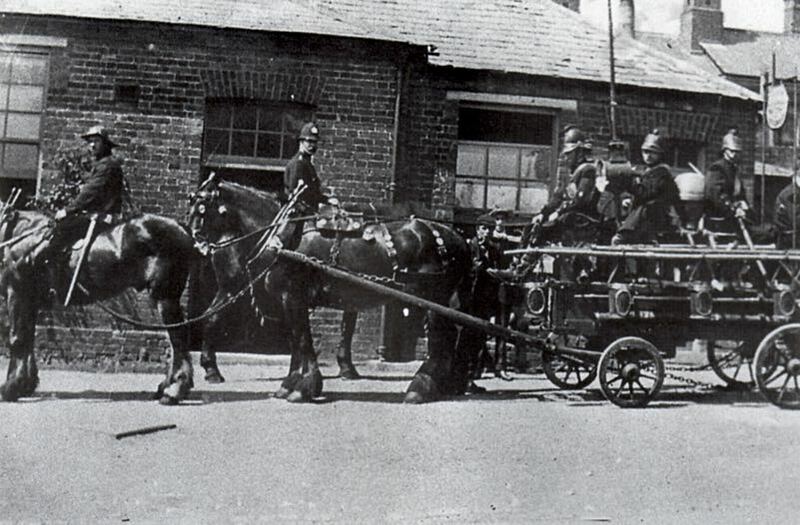 The first motorised fire engine in 1914. Pett surrounded by some of his men in 1902. The brigade fighting the fire at the Victoria Hall in Queens Street.